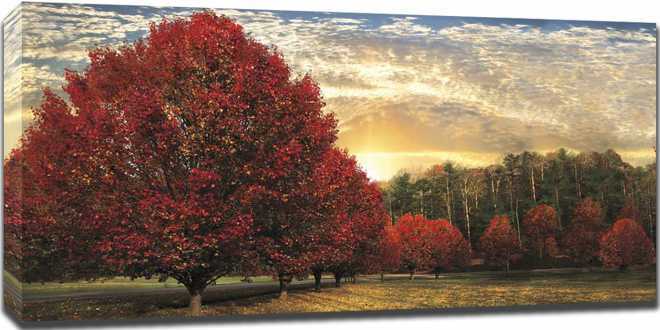 The canvas is printed on a Giclee printer using twelve colors to produce a rich, deep color tone that truly is better than normal printed canvas. Next we coat your painting with a laminate finish to remove the possibility of scuffing or washing the ink off. Then the canvas is stretched over 1.5" tall stretcher bar. The sides of the piece are printed or colored and the staple is out of view on the back. Our thick canvas paired with a rounded edge stretcher bar resists creasing at the edge.